And Pharisees came up and in order to test him asked, "Is it lawful for a man to divorce his wife?" He answered them, "What did Moses command you?" They said, "Moses allowed a man to write a certificate of divorce and to send her away." And Jesus said to them, "Because of your hardness of heart he wrote you this commandment. But from the beginning of creation, 'God made them male and female.' 'Therefore a man shall leave his father and mother and hold fast to his wife, and the two shall become one flesh.' So they are no longer two but one flesh. What therefore God has joined together, let not man separate." Some years ago, I heard of a Christian pastor who was deeply loved by the congregation that he served. He came from a family that included a long line of pastors. He was known to be hard working, serving his congregation day and night without any consideration of his own needs or even that of his family. After several years of working long hours for the church he moved a cot into his office, so that he could sleep at church rather than "waste" time at home with his family. The congregation loved him even more and honored him for this extraordinary sacrifice. What a wonderful pastor this man was in the eyes of his grateful parishioners. After some months of this mode of living, his marriage collapsed and his wife divorced him on the grounds of malicious desertion. This extraordinary and selfless way of life, which the pastor exhibited, made a mockery of the divine command enjoining faithfulness to marriage and family life. His higher spirituality and more "churchified" holiness destroyed the mundane and earthly commands that God had actually given to his holy people building marriage and family. While we could readily deplore our culture's despising of God's gift of holy marriage, including the desperate redefinition of it by the United States Supreme Court, let us not lose sight of the fact that Christians can likewise abuse the gift of holy marriage by despising our own spouses, and worse yet, dress such an abuse with the cloak of self-defined holiness. At least the world does not dress up its impiety as piety. We should never let self-made holiness trump the very commands of God. 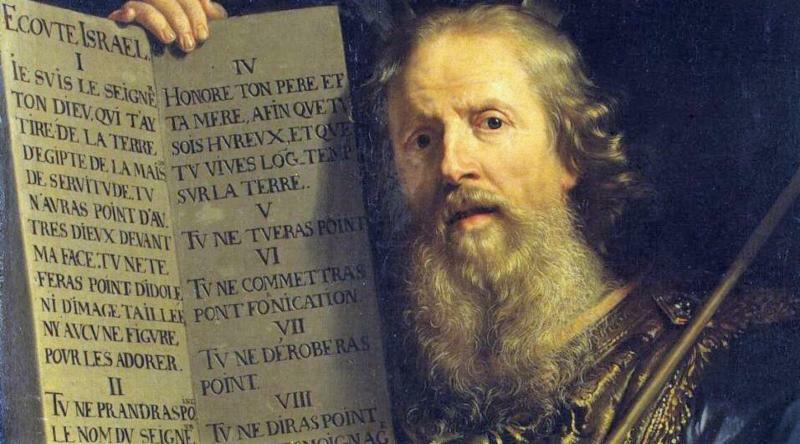 There is nothing higher or better than the Ten Commandments. There is no higher spirituality than the earthly piety that God gives in the holy Ten Commands. "Works [other than those taught by the Ten Commandments] cause people to open their eyes and ears wide. Men aid this effect by their great display, expense, and magnificent buildings with which they adorn such works, so that everything shines and glitters. There they waft incense, they sing and ring bells, they light tapers and candles, so that nothing else can be seen or heard. For when a priest stands there in a surplice embroidered with gold thread, or a layman continues all day upon his knees in church, that is regarded as a most precious work, which no one can praise enough. But when a poor girl tends a little child and faithfully does what she is told, that is considered nothing. For what else should monks and nuns seek in their cloisters? "Look, is not this a cursed overconfidence of those desperate saints who dare to invent the higher and better life and estate than the Ten Commandments teach? To pretend (as we have said) that this is an ordinary life for the common man, but that theirs is for saints and perfect ones? These miserable blind people do not see that no person can go far enough to keep one of the Ten Commandments as it should be kept. Both the Apostles' Creed and the Lord's Prayer must come to our aid (as we shall hear). By them power and strength to keep the commandments is sought and prayed for and received continually. Therefore, all their boasting amounts to as much as if I boasted and said, 'To be sure, I don't have a penny to make payment with, but I confidently would try to pay ten florins (a valuable gold coin).'" Lead me, O Lord, from the altar where I receive Your life and holiness that I might live Your life of service in humility and confidence of Your blessing and command. Amen.